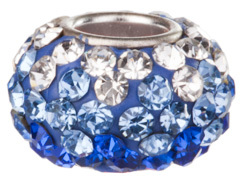 If you love Pandora Style mix and match jewelry, take a look at INM Crystal’s collection of beautiful large hole silver plated crystal beads encrusted with glittering crystals. 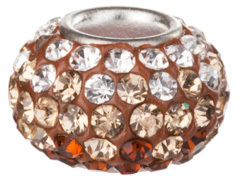 We are pleased to offer these stunning large hole beads in an assortment of unique designs and color combinations, including the popular Crystal, Crystal AB, Jet and Crystal Blends. Try combining these beautiful large hole crystal beads with any of our finished bracelets and necklaces to create gorgeous custom jewelry. For inspiration on using our large hole beads in your original creations, please visit INM Crystal’s Idea Gallery.